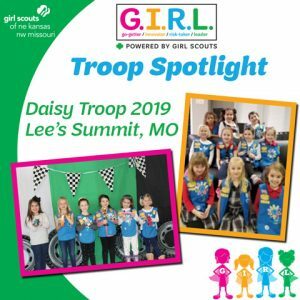 For Girl Scout Daisy Troop 2019, kindness is at the heart of their cookie business! These Girl Scouts brainstormed ideas of what to do with their cookie proceeds and consistently said “helping others” was at the top of their list. These Girl Scouts know exactly what a toy means especially for a child who may have very little or none at all. They decided that they were toy experts and wanted to help other kids their again. The girls planned what would be great purchases and then set a goal for their Cookie Program. These Girl Scouts more than met the goal and had a blast shopping for other kids. They donated their toys to the Lee’s Summit Social Services Store so that parents could shop and buy as gifts for their children. So proud of these young community advocates! They exemplify being selfless community leaders!